I am a sucker for private eye or bounty hunter movies. The whole style in which they are made, with the narrative voice-over from the P.I, just in case you miss something. Most of them are exciting and interesting. One For The Money is neither. In fact, it’s an unholy mess of a movie, never knowing what it wants to be. Samantha Plum is unemployed and newly divorced. She needs a job desperately and so, with no experience whatsoever, goes to her cousin’s bail bond and soon becomes a skip tracer, a bounty hunter specialising in those who jumped bail. Her first job is to track down and bring in cop she once had a fling with, who is wanted for murder. Having no knowledge of the job and not exactly the toughest girl in town, Plum soon finds that it’s not so easy to capture a man who doesn’t want to be caught, especially as he is desperate to prove his innocence. Based on the first of a series of books by Janet Evanovich, this has all the right ingredients of being an interesting series, if only it had been given over to a better director and cast with a stronger lead. British director Julie Anne Robinson, who cut her teeth on British TV shows like Holby City, struggles with the material, never sure where to aim it. Yes, it has comic intentions but it’s not funny. It longs to be a detective thriller but isn’t that thrilling and it lacks any action (apart from a few shootings and a car explosion). So it jumps from trying to be funny (we know there’s a joke because of the long pauses and the comic inspired music) to seriousness to a shoot-out, leaving the audience cold to the whole thing. The characters are sketched more than drawn. Katherine Heigl is, without a doubt, a very attractive woman but she struggles carrying a movie. Having lead romantic comedies (that fell flat on their faces), she now wants an image change but as Samantha, she still thinks she’s in a fluffy rom-com. Her Boston accent also roams around the USA and you finally realise that looking good isn’t necessarily qualification for being a strong enough lead. 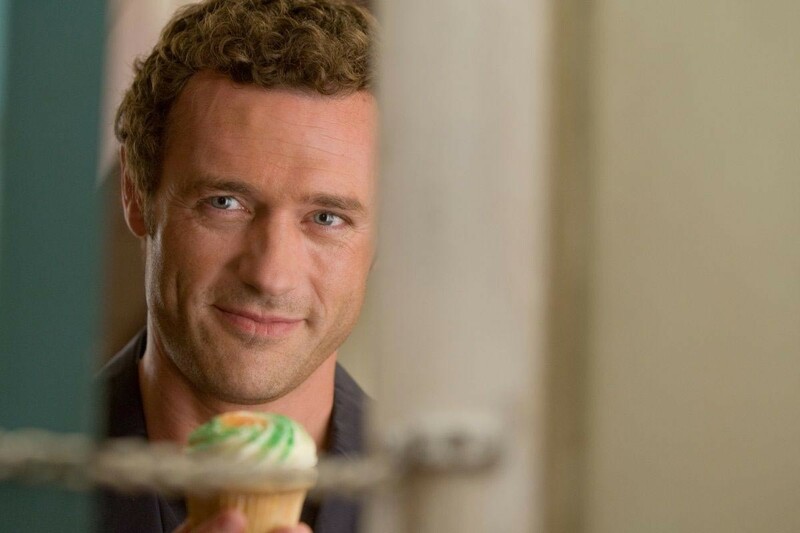 There’s two hunks for the ladies to enjoy in the form of Jason O’Mara as the cop on the run and Daniel Sunjata as the cop who occasionally comes to her rescue. Even though they supply the action, their main function for their existence in this film is for Plum to debate who she likes while saving her every five minutes. Even the legend Debbie Reynolds fails to be given anything but the usual stock dotty grandma who doesn’t either understand who who will shoot a cooked chicken, another comedy gem. The real trouble here is nothing ever rings true. Even if you were so desperate for a job, would you honestly walk into a bail bond store and ask to be a bounty hunter without any training or research. Even I know that criminals who jump bail aren’t going to go “sure, I’ll return with you because you look pretty!” I am also sure that there are some beautiful bounty hunters out there but you’re not going to wander around with the tightest pair of jeans, skimpy t-shirt and high boots to grab a crook! At 91 minutes, it’s thankfully short but Heigl has to do something else with her movie career. Sure, she was fine in Knocked Up but has really struggled since then. This doesn’t help the cause. In fact it only makes matter worse and even after the equally disastrous, yet similar Bounty Hunter with that other struggling actress, Jennifer Aniston, female playing tough have taken several steps backwards from the days of Sigourney Weaver as Ripley in Alien. Now they have to be kooky and cute. Sorry ladies, it don’t cut it.